Fishermen clean their nets after returning from sea in Cape Coast, roughly 120km west of Ghana's capital Accra on Thursday April 9, 2009. 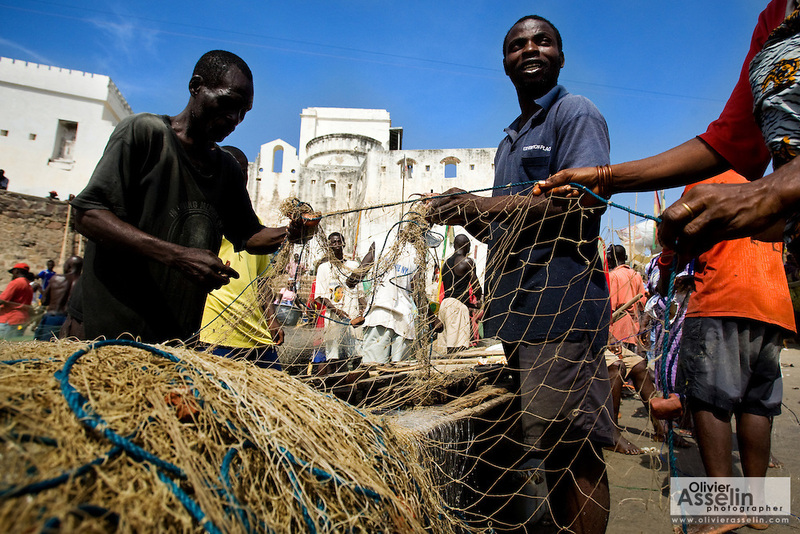 "Local jobs are collapsing" says the Ministry of Fisheries' Isiah Amoukouandoh. "It's a difficult balance for the government because foreign trawlers contribute to government funds. If the trawlers stuck to regulations, there would be less of a problem. But they are fishing in the waters reserved for the local fishermen, stealing their fish."